Please note that there is a fee to participate and the auditions are for ballet students. Audition for three unique summer programs in New York City that offer the highest quality ballet education for serious students. This session is designed for students who wish to experience concentrated exposure to exceptional classical ballet training in New York City. The curriculum affords an excellent opportunity to greatly improve technical skill, develop greater self-awareness and gain a deeper understanding of individual artistic potential. This special program is for young ladies who wish to be immersed in the details of classical ballet variations. The curriculum includes daily classes in classical technique, pointe, and intensive study of some of the most famous choreography in the history of ballet. This exclusive program will focus on the study of various pas de deux from the great classical ballet repertoire, immersing students in the pas de deux, variations, and codas associated with each selected ballet. 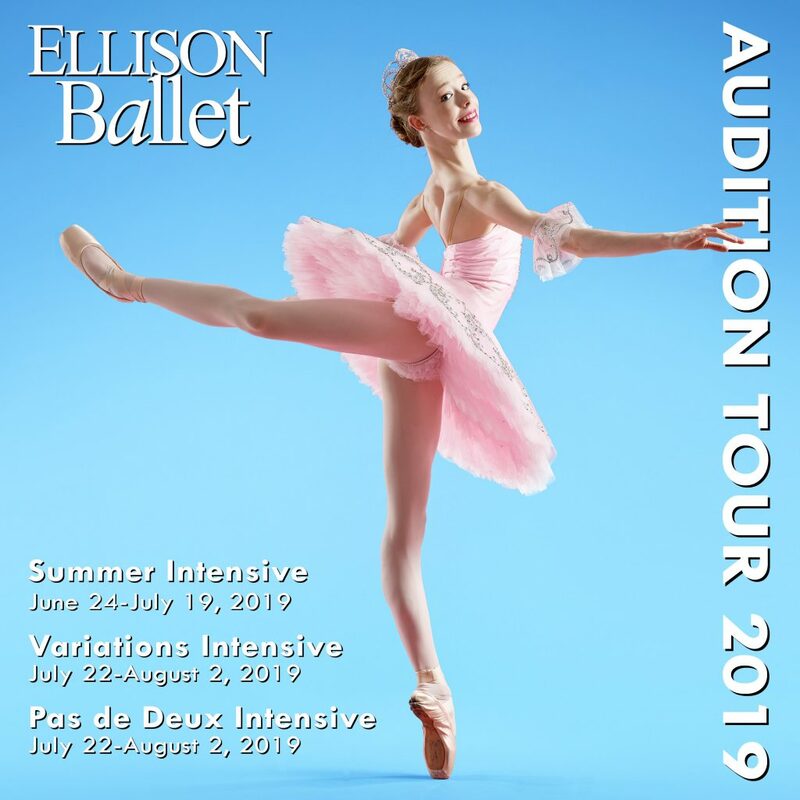 This year-round program is designed to meet the needs of those dedicated students, from across the U.S. and abroad, who seek the highest standard of classical ballet education to prepare for a professional career. Working daily under Edward Ellison’s artistic direction, and his faculty’s careful guidance, students develop the essential skills to fully explore and realize their greatest individual potential. This program is based on the Vaganova method, a system of training that is logical, thought-provoking, inspiring and highly effective. There is great emphasis on our men’s program, focusing on the development of the power, stamina, and masculinity associated with strong male technique. –Applicants should be between 12-19 years of age and have a strong basic classical foundation in relation to their level and age. (11-year-olds may audition as long as they are age 12 by June). –Dancers should audition with the age group that they fall into on the date of the audition. –Please bring two recent photos to your audition: 1st arabesque and tendu a la seconde. Photographs will not be returned. –Girls should wear a solid color leotard and full-length pink tights with ballet slippers, and should bring pointe shoes. Boys should wear white t-shirts and full-length black tights. –Upon completing a summer intensive audition, participating students will receive a letter indicating acceptance, wait-list, or non-acceptance within three weeks.